QMx has released brand-new Star Trek: Discovery Enterprise-style insignia badges, including ones from the mirror universe! 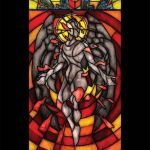 Plus: Red Angel window giclee print. The badges are offered in command, science, operations, and medical for the regular universe U.S.S. Discovery; and in command, science and operations for the mirror universe badges. Included with the regular universe pins is a mini version of the same pin. The regular universe pins cost $19.95, while the mirror universe ones cost $14.95 each. To order, head on over to QMx, at the link located here. 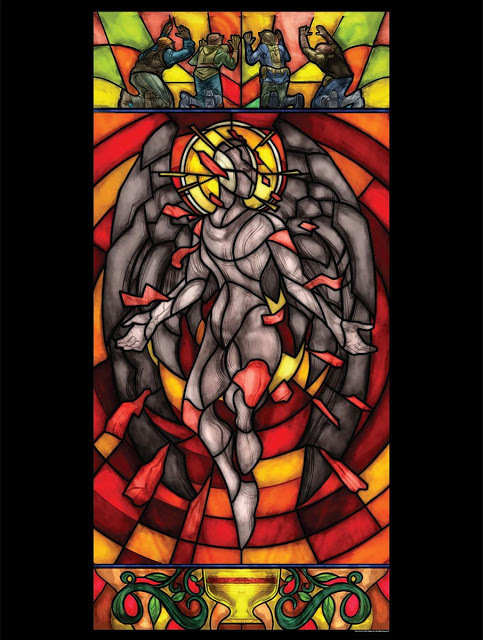 In other merchandise news, for those who liked the red angel stained glass window seen in New Eden, the Star Trek Shop is offering the design as a 18×24 giclee print. The Star Trek Discovery Stained Glass Giclee Print will cost $26.99 and can be ordered here.